Enjoy travelling through levels and collecting fruits around. Mind enemies you might face! Have you ever seen incredible nature levels in one game? 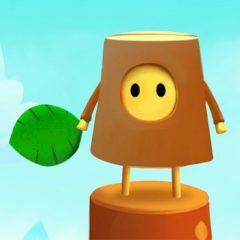 You will play for a little stump and you must collect fruits during the level run.